With the likes of the Apple iPhone 5s and Samsung Galaxy S5 now offering fingerprint sensors, the smartphone industry has become increasingly sci-fi – a tad more James Bond, if you like – in recent times. But for a truly secure experience, one would need much more than these emerging, albeit reliable implementations, and this is where airplane maker Boeing steps in, with a smartphone offering the kind of robust security features that only a government agency – or indeed, a government agent – would require. It’s not uncommon for manufacturers of vehicular products to try their hand at something new, and with Boeing having established a reputation for reliability in the aircraft game, an attempt at building a handset aimed at governments and individuals carrying sensitive data mightn’t be as strange a decision as it first appears. 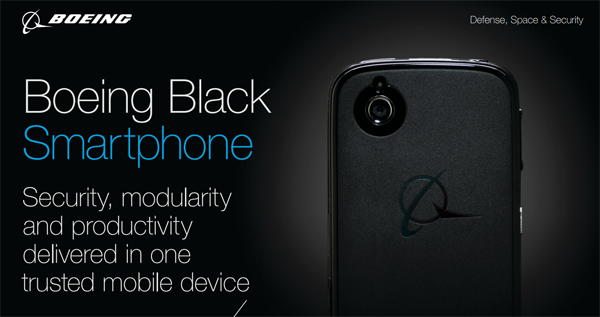 The ‘Boeing Black’ runs Google’s Android mobile operating system, although as you might expect, many modifications have been made from the ground up. The open-source nature of Android has rendered it susceptible to attack from the get-go, but with a bunch of alterations having been made to the software of the Boeing Black, those working for and with governments can rest assured that their data is safe and secure. 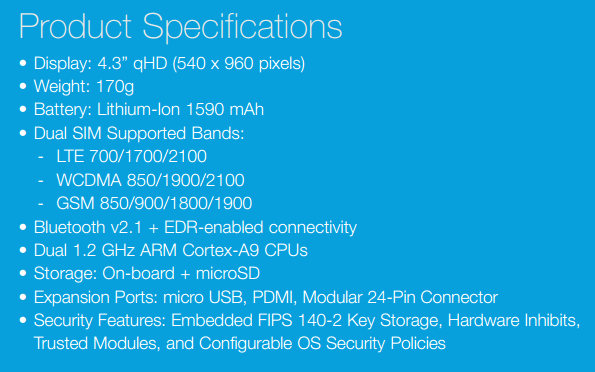 As far as tech specs go, you get a 4.3-inch display with a resolution of just 640 x 960 pixels, dual-SIM slots and a 1,590mAh battery to keep things ticking over. It would be rather exciting to have learned more about some of the software packed onto the enigmatic handset, but then again, revealing such details could be of a detriment to the secretive nature of the Boeing Black. Suffice to say, though, that Google’s array of stock apps, such as YouTube and Gmail, have probably been pulled from the device as standard. 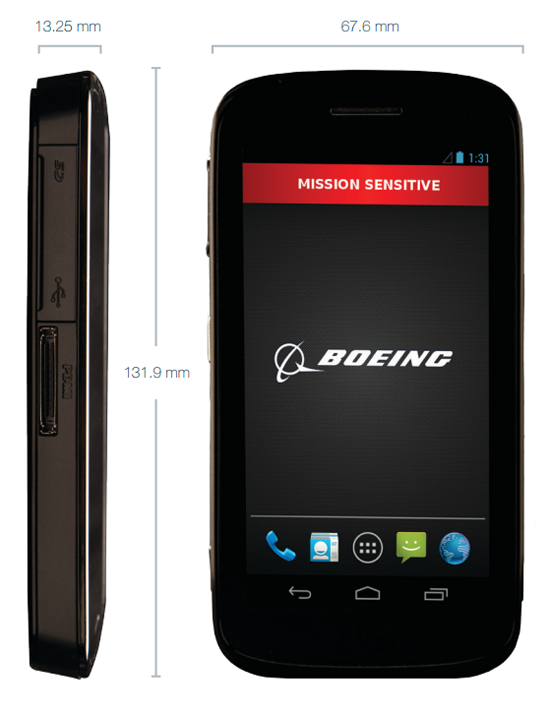 The Boeing Black offers a myriad of different options for “maximum mission productivity and security,” and with hardware media encryption allied to the obvious software-based precautions, the team at Boeing have really gone all-out to ensure this handset meets its billing. Any attempt to breach the interior hardware by, say, opening up the case, results in all data being immediately deleted, so with this in mind, you would have a hard time finding anything more secure running on Android.